Some students go even further and have chosen to use their decision to be drug and alcohol-free to help influence others to do the same. The Youth Advisory Board of the Lake County Underage Drinking and Drug Prevention Task Force provides these students with the opportunity to be positive role models for their peers, and empowers them to use their voices to make positive changes in the community. The Youth Advisory Board is always looking for additional members to join our group! If you are (or know of) a drug and alcohol-free teen who attends a Lake County High School and would be interested in joining us in our mission, please contact us at LCUDPTF@gmail.com or text us at 224-419-4212. The group meets the 3rd Monday of the month from 6-7:30 pm at different locations throughout Lake County. Our first meeting of the school year will be Monday, Sept 18th. Contact us for details! Too many times, teenagers get a bad rap when it comes to others' perceptions about teen drug and alcohol use. These perceptions are caused by things we hear on the news, in the newspaper, or even just in conversation among our social circles. Some of these stories we hear may give us the mis-perceived notion that many of our youth today are drinking or experimenting with drugs. In fact, many adults in our society even perceive these activities as a “right of passage” for our youth and simply turn a blind eye. But the reality is that the majority of youth are making healthy choices and are choosing to remain alcohol and other drug-free. According to the results of the 2016 Illinois Youth Survey, almost 70% of high school students did not use alcohol during the last 30 days, and 76% did not use marijuana. 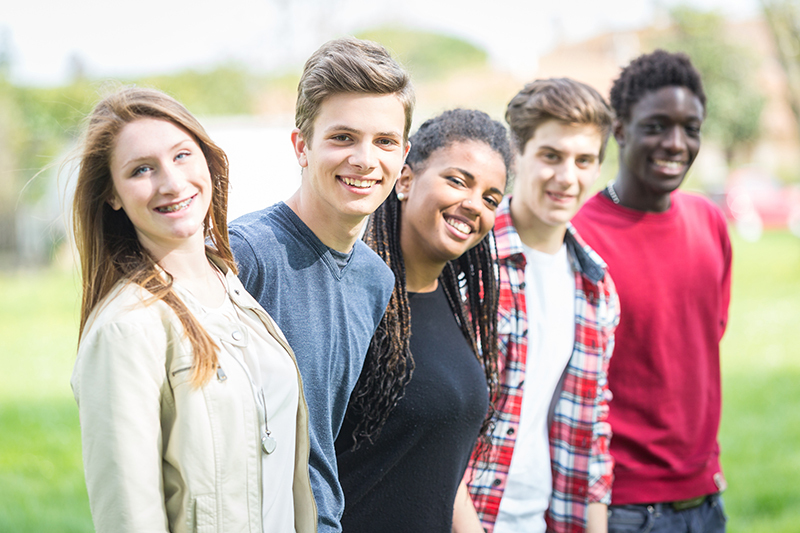 Many of these teens are using the positive influences in their lives such as family, sports, hobbies, and community and school involvement to keep them focused on their future and away from the negative influences that they may come across during their high school years. The YAB, in partnership with the Lake County Health Department’s teen led tobacco prevention and advocacy group, REALITY Illinois, consists of approximately 20 students representing several high schools in Lake County. The group is well known for their ability to make a difference in their communities by working with local governing bodies to adopt policies that create healthier communities. In 2015, the group successfully presented at the Lake County Liquor Commissioners Forum to encourage all municipalities to conduct consistent and frequent alcohol and tobacco compliance checks in their communities to help reduce their peers’ access to alcohol and tobacco products. In 2016 students helped pass an ordinance in the Village of Lincolnshire that prohibits the use of electronic smoking devices in indoor public places. In addition to policy work, the students also work together to plan drug and alcohol prevention activities and awareness campaigns for their schools and communities. This includes writing and recording their own radio PSA’s for WXLC 102.3. This year’s ads focused on the risks of electronic cigarettes and other vaping devices as well as the risks of underage drinking and the legal consequences for adults who host underage drinking parties for youth. Their messages are targeted to their peers, and to the adults in the community as well. The Youth Advisory Board will be focusing some of their efforts this year on educating adults in their communities about the importance of not hosting underage drinking parties for teens. Adults need to know that youth want their support and encouragement to maintain healthy, drug-free lifestyles.